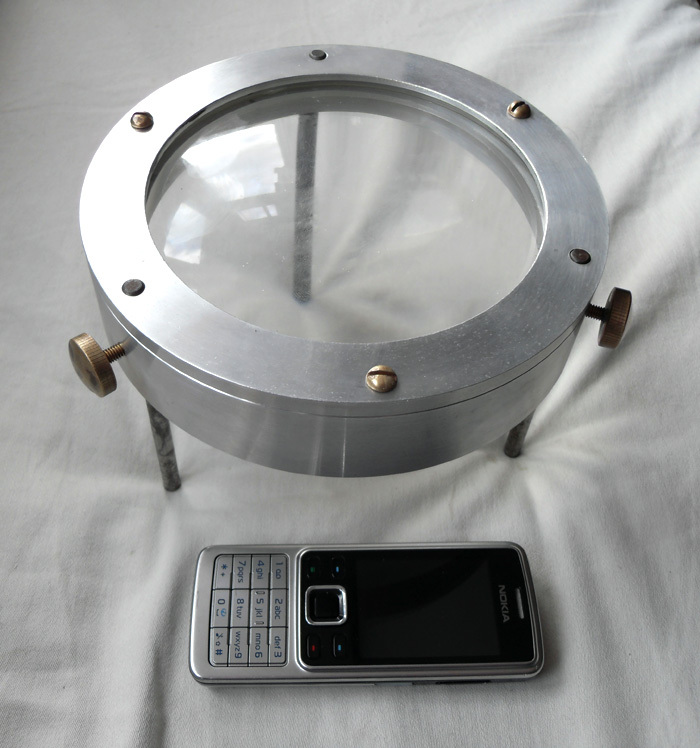 Here’s a quick shot of my new ‘porthole’, but following some judicious cleaning and polishing. . . I’ve still no idea what it is / what to do with it, but it now looks so lovely and shiny that it may well just remain on show as a bizarre talking-point / ornament. I name this ship. 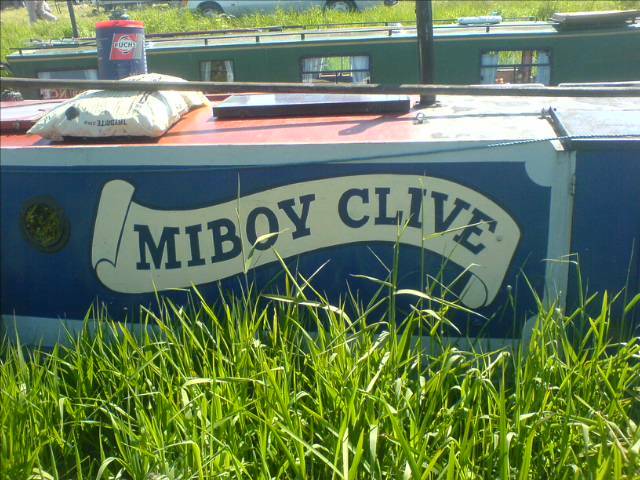 . .
My good friend RT sent me the following photo this weekend, taken on her travels. . . The search for other name plates goes on. . . 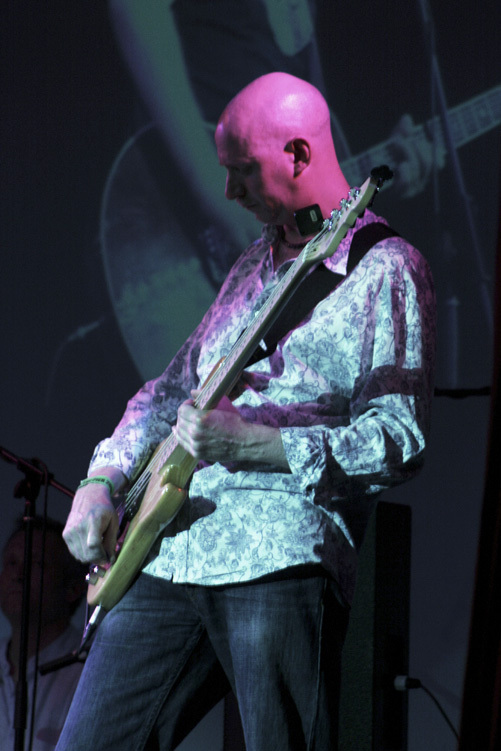 So last weekend, Navaro played at the Cromer Folk Festival, supporting Fairport Convention. 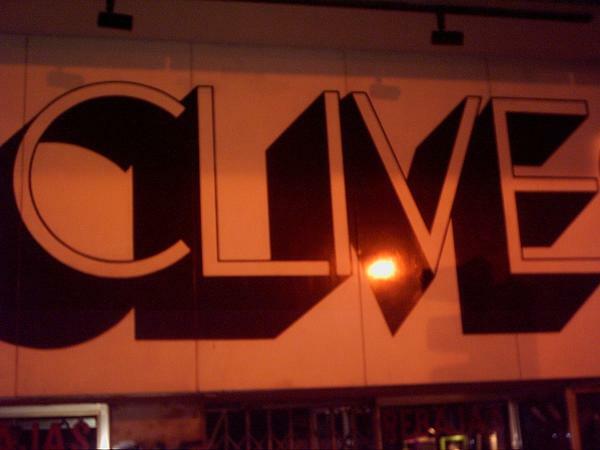 The gig was filmed, and a live feed projected onto the back wall of the theatre – hence the massive images behind us! My friend/playing partner Gerald Roberts has just told me that his new CD of tunes ‘Musician for a Friend’ is now available on the iTunes store. Visit it, put his name into the search field and up they pop – I really recommend having a listen, more importantly, buying them to make him rich and famous! Porthole or magnifying glass – you decide! Look what I’ve just bought in my local charity shop for three whole English pounds! (It seemed too good an opportunity to pass up!). I’ve no immediate idea what to do with it but it’s definitely going to find its way into some sort of steampunk construction very soon, I hope! If anyone has any ideas what it is, please write in and let me know. . . 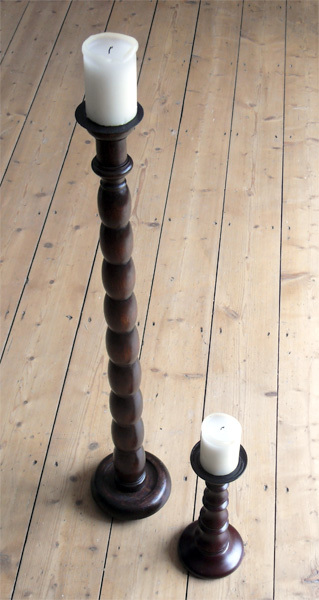 I realise I forgot to include anything in the photo that gives its scale – the item is about 16cm in diameter, and roughly 4 cm deep, with the ‘legs’ being about 11cm high. It’s also very heavy, which I am guessing is down to the considerable thickness of the glass/lens. Now that’s what I call a wheel hub! I was walking home the other day when I came across the following lorry wheel hub, lying in the verge. I find car wheel hubs (normally sorry-looking, broken, plastic affairs) all the time, but had never seen anything like this! Not only is it really large, but it’s made of solid stainless steel and weighs a considerable amount ! I’ve no idea what to do with it as yet – maybe just an interesting wall ornament!? – but it is really something to behold! One man’s rubbish is another’s thing of beauty? 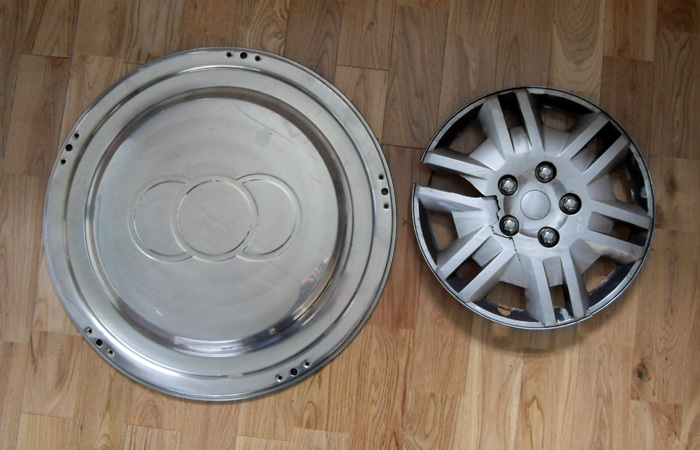 Here’s a photo with a normal car hub cap along side (on the right) for size comparison. PS: When I found the hub cap I was actually walking along in my best suit, shirt and shoes, having just come back from a friend’s birthday celebrations at The Races – I got a few strange looks dragging it home that night I can tell you. . . I was mooching around IKEA the other day (like one does!]) 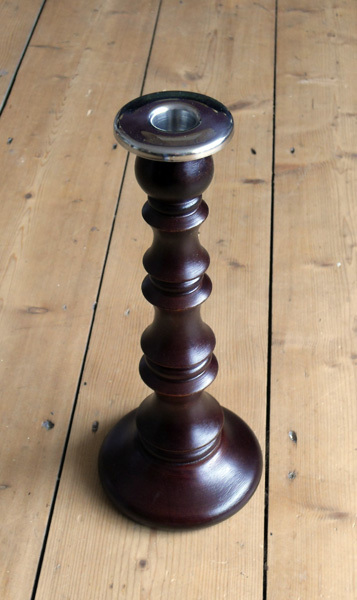 when I came across the following candlestick, reduced from £8 odd to only £2.40! 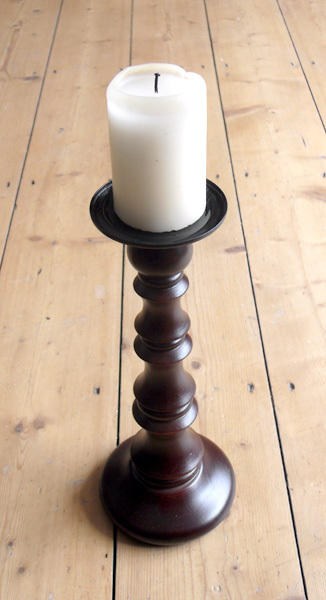 It’s not the sort of thing I’d usually buy, but I instantly thought it looked spookily akin to my newest candlestick creation (albeit in miniature) and that it would work really well placed alongside it as a sort of ‘set’.